It is hard to miss out on the news of the recent BP oil spill that occurred in April 2010. The environmental catastrophe has, after all, hogged the headlines almost daily and all over the world people are constantly being informed of the full extent of this tragedy. In the wake of the BP oil spill, however, another tragedy is often mentioned in the same breath: the Exxon Valdez oil spill that occurred in 1989. Both are certified tragedies obviously, but what are the effects that it has had on these companies and how have they dealt with them? Let's take a look! Although there are some signs that BP will eventually recover from the hit that its shares experienced after the oil spill that followed a fire on its drilling platform, there is no doubt that the company is reeling from the event. The value of its shares went down by as much as 13%, which is a far more significant effect than that Exxon felt in the aftermath of the Valdez disaster in 1989. 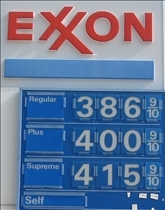 Back then, the value of Exxon stocks declined by a little less than 4% two weeks after the accident. By the end of four weeks however, Exxon had managed to recoup all their losses. One factor that has had a considerable effect on the present BP oil spill is the presence of more extensive media coverage of these and other similar events. Back when the Exxon Valdez oil spill happened, there simply wasn't as extensive a media network in place. There were also no bloggers back then, and this group is in fact responsible for the quick spread of information on the BP tragedy. Perhaps it is due to the increased media exposure that such companies have now had to face, but BP is by all accounts doing a far better job of managing the crisis than Exxon was back in 1989. In addition, the company is also a lot more transparent in the information that it divulges to the public, unlike Exxon, which tried to downplay the Valdez incident at the start. On the downside, Exxon never got out of paying for the damage. Livelihoods were never restored, countless numbers of people remain chronically ill, lawsuits have yet to be resolved and the oil is still stuck on the shores of Alaska. BP seems to have high hopes for making a profit from the recovered oil and possible new oil operations from this same disaster. What would the government do to ensure that the leak will be capped, the water be cleaned without oil dispersants, the animals be protected and saved, the livelihoods of the shore folk be restored, the sandy beaches and wetlands damage, the oceanfront property damage, illnesses and diseases resulting from dangerous crude oil fumes and exposure, oil that will be deposited over the countryside following the line of hurricanes that were forecasted for 2010? Which is the worst oil company ever? Which one is worst? 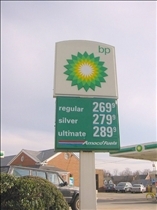 BP or Exxon? I allways thought Exxon is the bad one, now can't decide. why did goldman sachs sell over 4 million shares in bp just before for the spill? why did bp's ceo sell 1/3 of his stock a few weeks before? who is reporting on this?